Can the Occupy movement initiate a makeover? Some of you, dear readers, have asked me to write about the ongoing Occupy movement. 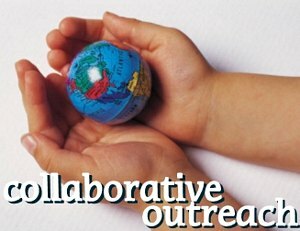 This blog is about how you and I can impact our personal spheres of influence, not about collective action or political affairs. Allow me to make an exception. I think that the Occupy movement has achieved its foundational goals. It has posed serious questions on the socio-economic inequalities in our societies. Motivated by a sense of helplessness and resentment towards the financial establishments in the United States, the Occupy movement has brought to public attention some themes that are worthy and germane. So what’s next? This effort to occupy urban space for demonstrations is inspired by the “Arab Spring” uprisings in Egypt and other countries. The direct demands of those dissent movements were somewhat straightforward, viz. the end of the political regimes in their countries. On the contrary, the themes broached by the Occupy movement are far-reaching. 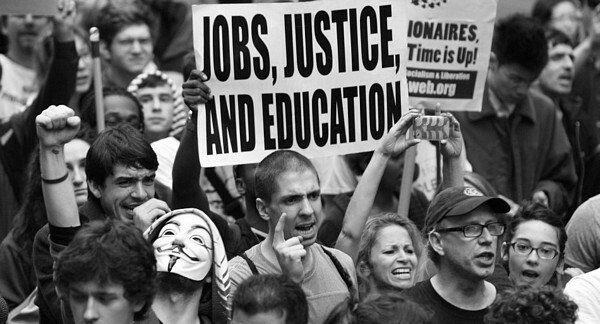 If the Occupy movement is about change, what is the nature of this change? The movement should focus less on what it does not want, and more about what it does want. Beyond proposals to minimize the immediate difficulties of “the 99%,” if our hypotheses about how to operate a healthy society are wide of the mark over the long term, how can we reform the prevailing capitalist democracy-based social order? Can we merely reconcile to some degree of government-interventionist capitalism, regulate businesses further, and increase taxes? How do we develop social welfare programs that truly benefit the deserved and the underclass? How do we continue to uphold individual responsibility and reward the most productive people in proportion to their contributions to the society? 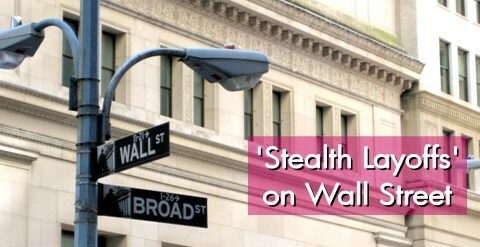 Last month, the New York Times reported about ‘stealth’ layoffs in the financial services industry. The story refers to a trend of Wall Street firms downsizing their workforces by laying people off without formal announcements. It appears that, at these firms, managements rarely discuss layoffs in meetings or formal communications to preclude negative publicity. As a result, employees cannot easily identify what divisions are targeted for layoffs or whether they’ll stay or go. Here are excerpts from the “For Wall Street Workers, Ax Falls Quietly” story. Some bosses hardly say a word after people are fired. At Citigroup, Goldman Sachs and Morgan Stanley, for example, the first clue that someone is gone can be e-mail messages that are returned to senders from a former colleague’s inactivated corporate address. Some Lehman Brothers investment bankers found out their jobs were in peril when they saw cardboard boxes and dumpster bins in the hallways in March. And when Bank of America dismissed some bankers recently, it told them that their annual bonuses had been almost wiped out and that their personal belongings would arrive in the mail. After about five years of terrific across-the-industry performance and sky-high compensations, the financial services sector is presently reeling in a downturn—triggered by the sub-prime crisis, credit crunch and stunted returns in capital markets. Under present circumstances, Wall Street firms can justify downsizing their workforce. Still, the trend of ‘stealth’ layoffs amounts to unfair treatment of employees. Ironically, it is likely that these very companies publicly pride themselves on the talent of their workforce and boast “our people are our most important assets” in annual reports. The practice of ‘stealth’ layoffs establishes an environment of mistrust and apprehension. 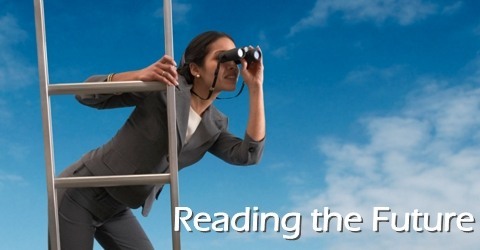 Employees cannot focus on their work, speculate on ‘who is next,’ and prepare themselves for a potential dismissal. Employees may even hesitate to take vacations for fear of returning to a dismissal. The end result is poor morale and possible defections of talented people to competing firms. Often, business decisions entail some pain. Layoffs are never easy—for executives of a large organization facing the need to downsize by thousands or for a manager trying to dismiss one of his/her employees. Habitually, managers dread the prospect of facing employees being dismissed. Formal top-to-bottom communication and candid conversations with affected employees are obligations of the management. Employees being dismissed rightfully deserve to hear a respectful and honest assessment of the reasons for layoffs. They merit an offer for support through the transition and in pursuing employment elsewhere. This is the essence of true corporate character. In an essay entitled “Reading the Future,” Hamish McRae, one of Europe’s leading futurists, argues that we can all understand the changes in the world today and get the future right. 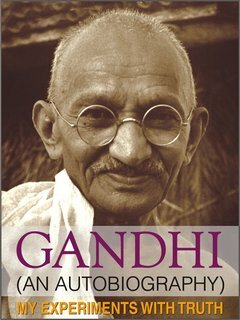 He identifies five important drivers of change in the world economy. Demography: how many more people there will be in the world, how old they will be, and where they will be located. Resources and the environment: whether there will be enough resources to give these additional people a decent lifestyle, the pressures this will create on the environment, and the impact on the business community. Globalization: how long it will continue to race onwards and how it will change its nature from emphasis on international trade to emphasis on movements of culture and talent. Technology: how we can see an outline of the technologies that will dominate for the next twenty-five years and how we must try to understand the broad social impact of these technological advances. Government and social change: why we will ask different things of government, why government will tend to retreat, and the opportunities that will be created for the private sector. The five macroeconomic trends identified by Hamish present an opportunity to understand the future in a broad context. Translate these trends into microeconomic indicators and examine how they may affect your lives: your society, marketplace, industry and the economy. What opportunities do these trends present to your career, your personal and professional growth, your choice of investments, etc? How will you capitalize on these opportunities? Example 1: In the United States, the oldest segment of the population—persons 65 years or older—is predicted to grow to 20% of the population by 2030 from about 12.4% in 2005. The aging population will increase the demand for healthcare services and preventive medicine. What investment choices can you make? Example 2: Assume you dispense cash at a bank in a semi-urban location in India. In their relentless pursuit of productivity, banks in India will push new technologies: transactions over mobile phones and wider adaptation of ATMs and online recordkeeping, thereby shrinking the functions of bank tellers. There will be a greater demand for employees who understand customer needs, spot business opportunities and execute growth plans. How will you expand your skills and graduate into such roles? Home Depot Chairman and CEO Robert Nardelli resigned on Wednesday. Since early 2006, Nardelli had been under a fair amount of criticism from investors primarily for disproportionate compensation and poor performance of Home Depot’s stock [HD]. In May of last year, the New York Times estimated that Nardelli had received compensation worth $245 million during the first five years of heading the company. 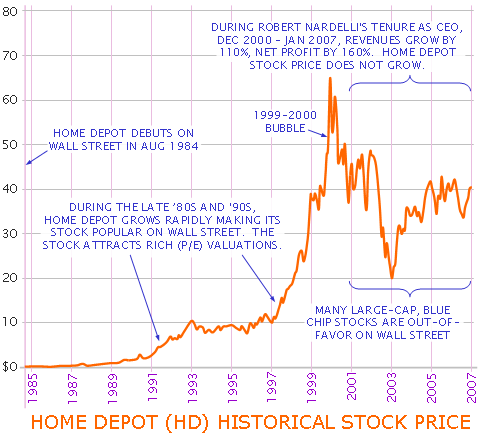 During this time, Home Depot’s stock had slid some. The stock performance was especially poor when compared to that of Home Depot’s archrival, Lowe’s [LOW]. During the late eighties and nineties, Home Depot grew exponentially under the leadership of its founders. 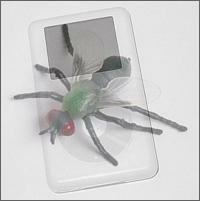 Naturally, its stock was very popular on Wall Street and attracted rich valuations. The Price to Earning ratio (P/E) of the stock was high; so was the PEG ratio (the ratio of P/E to growth rate). Investors ‘bought high’ and ‘sold high’ during this period: they purchased at rich valuations and sold at rich valuations, as with any other growth stock. Investors often have undue expectations of stock prices of rapid-growth companies and lack perspective on stock valuations as such companies mature. Today, the day after Thanksgiving, marks the first day of the holiday shopping season. The retailing industry terms this day ‘Black Friday’. In theory, stores expect to switch from losses (accounted for in red color in financial statements) to profits (accounted for in black color.) Stores, big and small, offer hefty discounts and attractive promotions to lure shoppers. 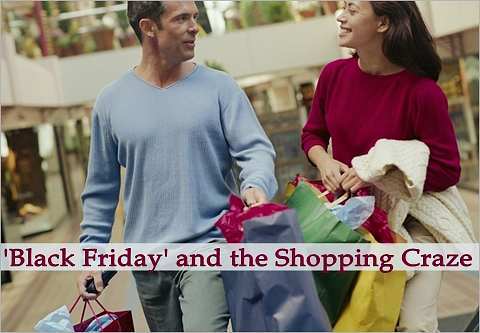 Consequently, Black Friday is one of the busiest shopping days of the year. Stores open as early as 5:00am and publicize low-ticket items to attract shoppers. Often, stores carry limited quantities of deeply discounted items. Thus, shoppers scramble to enter the stores and fight to lay their hands on these items. See interesting news stories of shoppers fighting for bargains here, here and here. Most stores offer discounts for only a few hours in the morning. For instance, today, Wal-Mart’s discounts were limited to 5a.m. to 11a.m. Shoppers transit from store to store and families split-up to reach various stores before discounts terminate. Stores hope that once shoppers are tempted to start the day at their stores, they will buy less-discounted and regular merchandise. Clearly, they risk margins in an effort to boost sales numbers, one of the key metrics in the retailing industry. In 2004, Wal-Mart decided to scale down on Black Friday offers in an effort to increase margins. Sales were poor; Wal-Mart stock dropped 4% the day it announced poor sales figures. This year, major retailers including Wal-Mart [WMT] and Target [TGT] reported weaker-than-expected sales numbers for October. Wal-Mart announced just 0.5 percent increase in same-store sales for October; these numbers were short of the 2 to 4 percent increase that it had initially expected. Consequently, Wal-Mart announced aggressive discounts on a wide-range of goods including consumer electronics. As I hopped from store to store hunting for bargains and gifts this morning, I ignored a few questions the investor in me had: Do Black Friday promotions pull sales from later in the shopping season? How many customers return goods they purchased on Black Friday? If a retailer fails to capitalize on the Black Friday craze, can it make up during the rest of the shopping season? Are sales numbers more important than margins? Lisa Haneberg wrote about RadioShack [RSE] laying off 400 workers and informing them of the decision via email. Lisa’s Management Craft blog article records her thoughts on this choice. Human resources… People are not just resources like computer systems and Post It notes. Our employees, all of them, even the underperforming ones who ought to be let go, are our partners. They are our business family. Even when it is the right thing to do to let someone go, we need to remember that they are important partners. How we leave a relationship is just as important as how we enter into it. This reminds me of another instance of careless mistakes at Northwest Airlines. The company, currently operating under Chapter 11 bankruptcy protection, is considering additional layoffs and pay cuts for employees. A few weeks ago, a booklet distributed to likely-to-be-laid-off ground workers is reported to have advised them on saving money: “don’t be shy about pulling something you like out of the trash” and “take a date for a walk along the beach or in the woods” along with more sensible tips like “brown bag your lunch” and “refinance your mortgage.” See the full list of ‘101 Ways to Save Money’ here. Irrespective of the organizational and financial state of the company, including tips such as the above in employee communication is careless, insensitive and insulting to the dignity of the workers, especially when they are candidates for potential layoffs. An appropriate supervisory review of this publication prior to release could have easily avoided the bad publicity and ill will that this incident generated. As alluded to every year in Fortune magazine’s ranking of the ‘best companies to work for’ in America, employees’ attitudes towards their organizations have a profound effect on the performance of companies. Further, better performance leads to higher morale among the employees; this results in a virtuous cycle of company performance and employee morale. The primary means of achieving high employee morale is by co-creating a corporate culture that instills a sense of ownership through empowerment, trust and fair treatment, by instilling pride for personal and organizational achievements and by providing adequate opportunities for personal and career growth. Mr. N R Narayana Murthy, executive chairman of Bangalore-based Infosys Technologies, retired today on his sixtieth birthday. 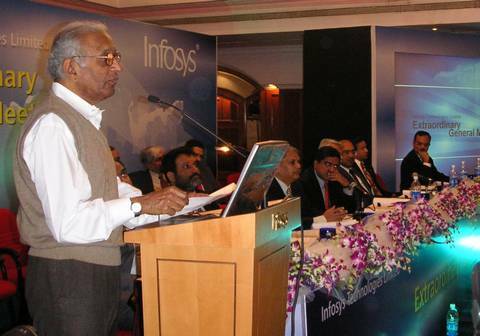 He was one of the six founders who started Infosys [INFY] with a small investment of Rs. 10,000 and nurtured the organization to a world-class company currently valued at Rs. 50,000 crores ($10.75 billion). Globally, Mr. Murthy is a widely-admired business leader. Much has been written about his background, discipline and his ‘simple living, high thinking’ philosophy. His biggest legacy will be the dreams and confidence his company’s success has fostered in a whole generation of middle-class India. In creating a highly respected, world-class company that provides top quality services and adopts best management practices from around the world (a strong corporate brand, transparency in operations and financial reporting, sharing wealth, best training practices,) his team has offered a blue-print for entrepreneurial success in the new economy. Mr. Murthy will transit into the role of a non-executive chairman at Infosys. His retirement will enable him to expand his endeavors with various institutions, viz., administrative (India, Thailand, United Nations Foundation), financial (RBI, DBS, SEBI), educational (IIM-A, IIIT, Cornell, Wharton, Singapore Management University) and corporate (NDTV, TiE). He is widely rumored to be nominated to the role of the President of India. He has himself expressed an interest in being designated the Ambassador of India to the United States. We should hope to continue hearing his ideas on various fronts. He may author a book or two on management practices in the global economy or the story of Infosys. Congratulations on your retirement, Mr. Murthy. As anticipated, Airbus announced a new A350 XWB (Xtra Wide Body) family of aircrafts at the Farnborough International Airshow on Monday. The family includes the A350-800 (270 seats in 3-class configuration), A350-900 (314 seats), ultra-long range A350-900 (314 seats), A350-900 freighter and A350-1000 (350 seats). The new aircrafts will feature a new fuselage that can accommodate nine-abreast seating and promise better operating economies than the Boeing B787 and B777 families. Illustrations released by Airbus indicate that the A350 may resemble the B787! Interestingly, Airbus announced no aircraft for the 200 to 230 seat market. Airbus will discontinue the A310 from mid-2007 and its smallest wide-body is the popular A330-200, which can set 250 seats in 3-class configuration. So does not offer a competition for the B787-800, which has captured 281 of the 404 orders for the B787 thus far. If Airbus expects few other airlines to order aircrafts of this size in the next few years, it can shrink the A350-800 at a later date to cater to this market whenever demand arises. Clearly, the new fuselage and cockpit sections are a break from the Airbus tradition of sub-system commonality. Towards 2010 or so, I expect Airbus to announce discontinuation of its A330 and A340 families in favor of the A350 family that will directly compete against Boeing’s B787 and B777 families. The A350 is an enhanced replacement for the twin-engine A330 and the four-engine twin-aisle market seems to have dried-up as poor sales of the A340 in the last two years have indicated. The eBay-Yahoo! Deal: More to Come?